LOS ANGELES, Aug. 1 (Korea Bizwire) – South Korea’s CJ Group vowed Monday to boost global sales of its two entertainment units by capitalizing on the growing popularity of the Korean Wave. Entertainment giant CJ E&M and South Korea’s largest cinema chain, CJ CGV, saw their combined global sales reach 424.9 billion won (US$383 million) last year, accounting for 16 percent of their total sales worth 2.68 trillion won. The two entertainment units are seeking to boost the portion of global sales to 54 percent of their total sales by 2020, CJ Group said. CJ CGV is planning to raise its screens in 12 countries to about 10,000 by 2020, from the current 2,632 screens at 339 theaters around the world. CJ CGV ranked fifth among global multi-screen theater chains by number of screens owned. 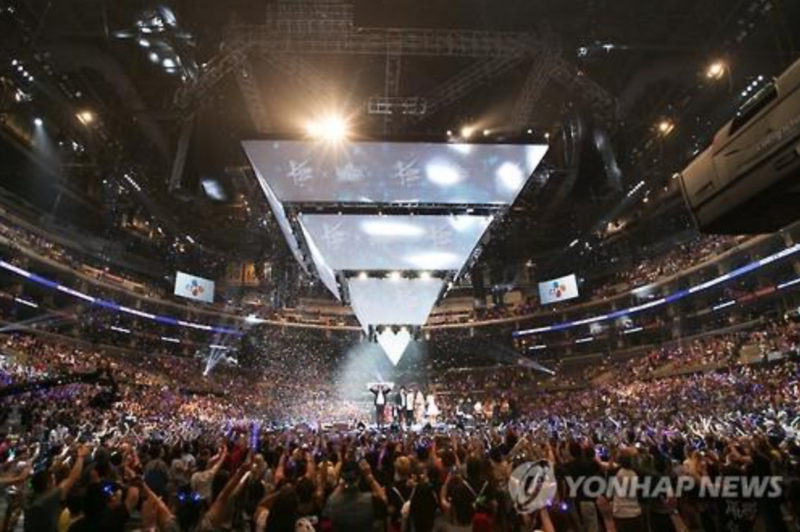 The CJ Group made the announcement in Los Angeles where it held the annual KCON Korean pop culture festival. The three-day festival held over the weekend drew some 70,000 people, compared with 10,000 in the first KCON festival in 2012. CJ said it plans to hold more than 10 KCON festivals a year after 2020 to draw more than 400,000 attendees annually. The ambitious announcement came as K-pop and its broader Korean Wave have struck a chord with young people around the world. K-pop has burnished South Korea’s image as a trendsetting country, home to “Gangnam Style,” South Korean rapper Psy’s mega-hit song. It was a big transformation for a country that had long been associated with the 1950-53 Korean War and tensions with North Korea over its nuclear program. Kim Hyun-joon, the vice president of CJ Corp., said that CJ will play a leading role in making sure that ordinary people around the world can enjoy the Korean Wave, not just dedicated fans. The CJ Group has increased its investment in K-Culture Valley to 1.4 trillion won from 1 trillion to help the cluster of various cultural facilities meant to promote the Korean Wave become a theme park like Disneyland or Universal Studios. In May, South Korea started construction of K-Culture Valley in Goyang near Seoul as part of its efforts to tap the cultural industry as a new growth engine. 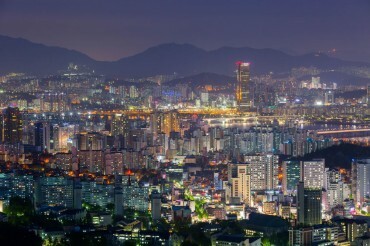 The CJ Group and other South Korean conglomerates will be in charge of establishing infrastructure and operations in K-Culture Valley, while small and medium-sized firms will provide needed content.